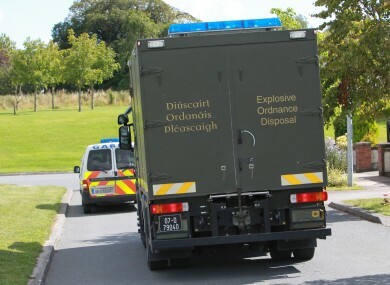 AN ARMY BOMB disposal team was called out to deal with an unstable chemical at a science facility in Dungarvan, Co Waterford this afternoon. The unit were alerted after a quantity of picric acid was discovered during an audit at Lancaster Laboratories in the town. Arriving on scene at 3.45pm, they were able to remove the chemical to nearby waste ground. Specialists then carried out a controlled explosion to make the chemical safe. The scene was declared safe at 4.20pm. Picric acid is a chemical reagent which is routinely used in laboratories. However, it can crystallise and become unstable and sensitive to shock or friction over time. Email “Bomb squad deal with unstable chemical at laboratory”. Feedback on “Bomb squad deal with unstable chemical at laboratory”.